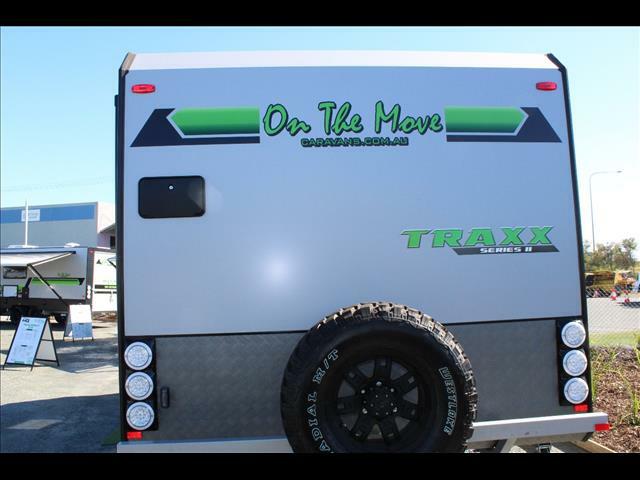 2017 On the Move TRAXX Series 2. 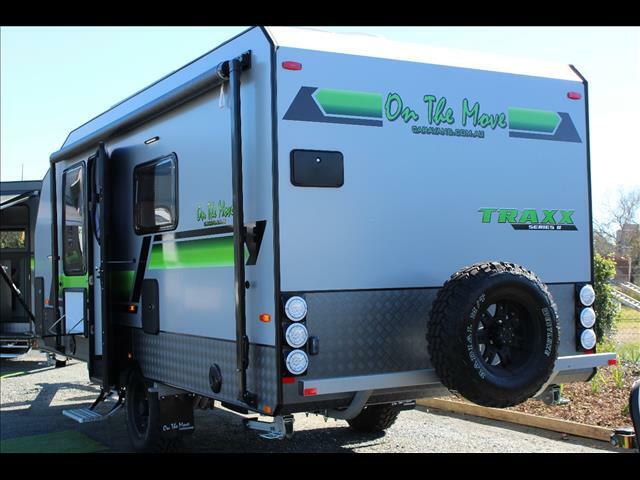 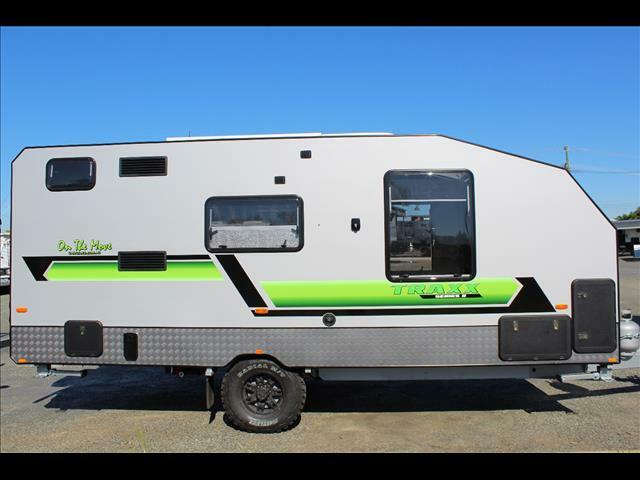 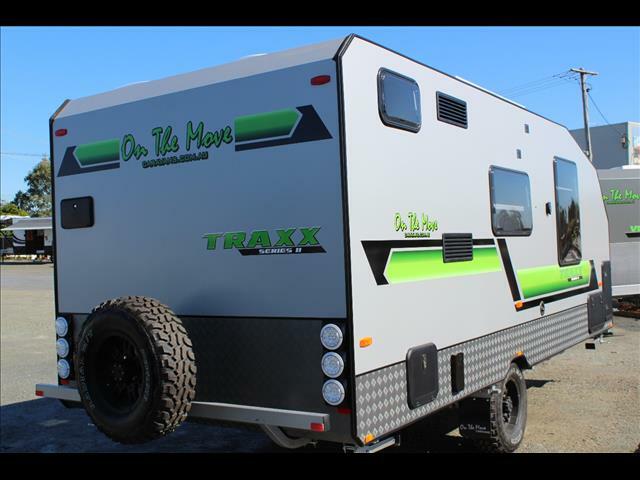 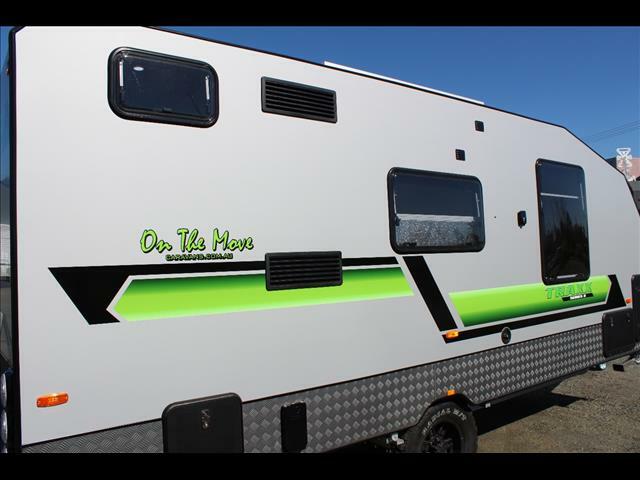 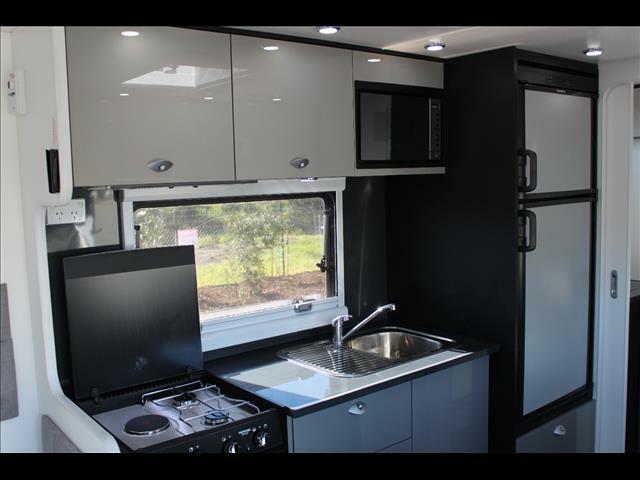 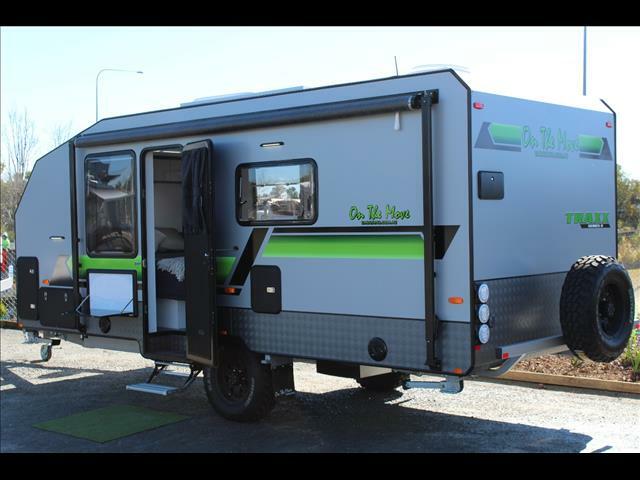 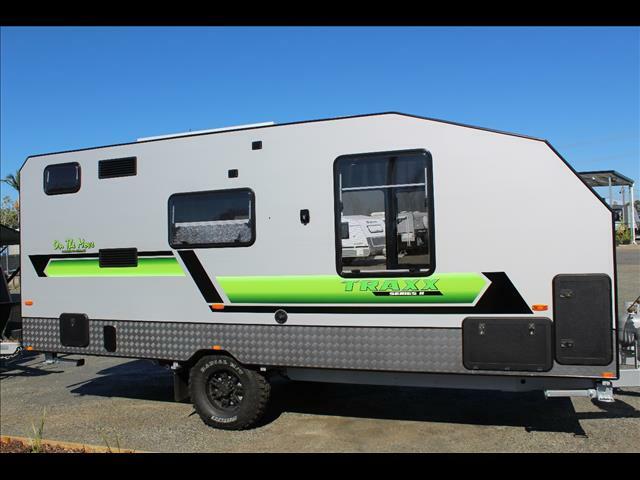 On The Move specialize in off road caravans and have put all ther knowledge into their latest offering, the next generation Series 2 Traxx. 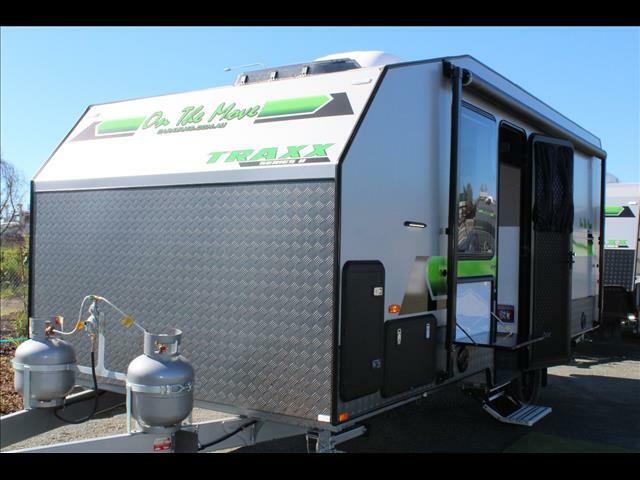 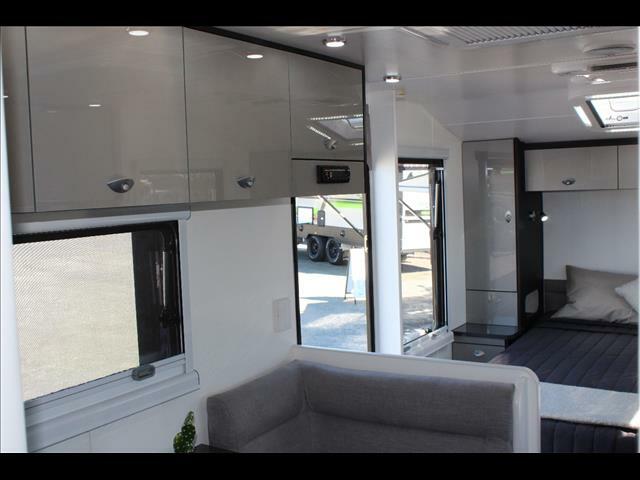 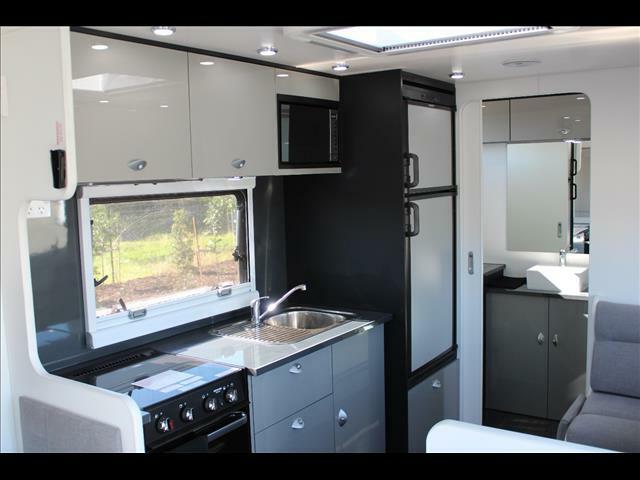 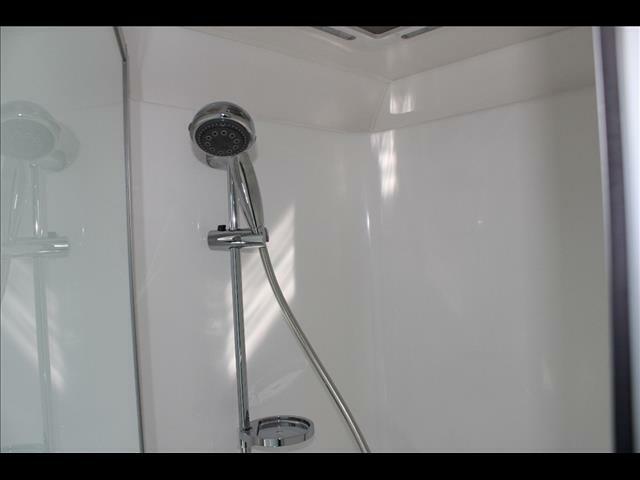 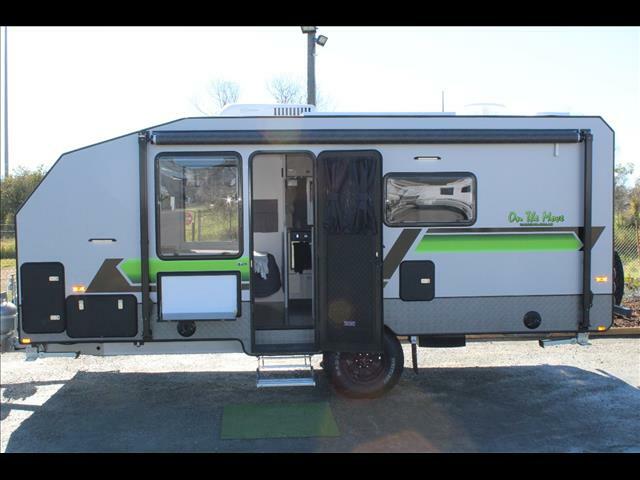 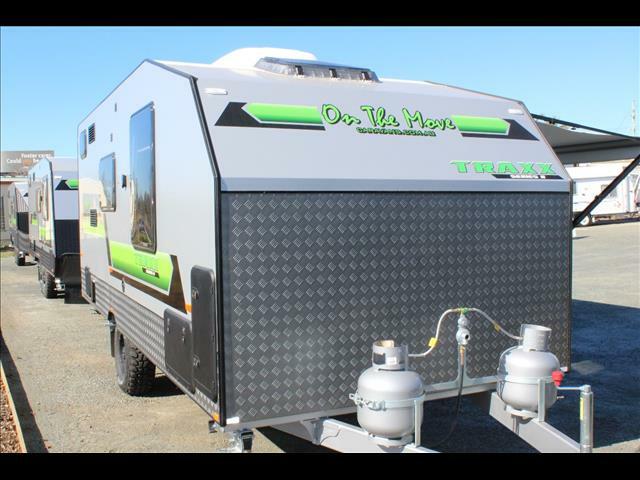 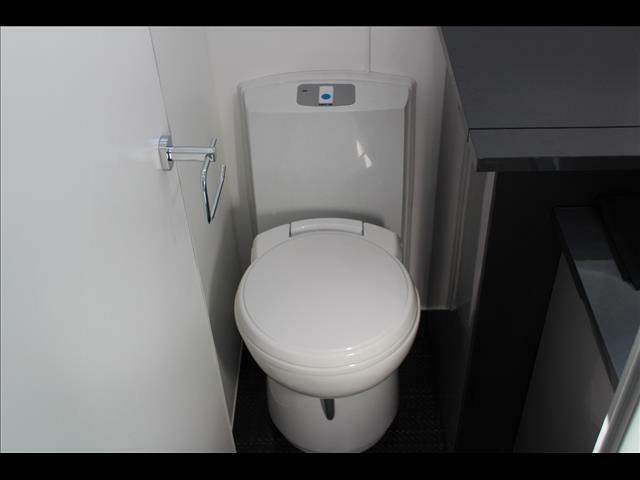 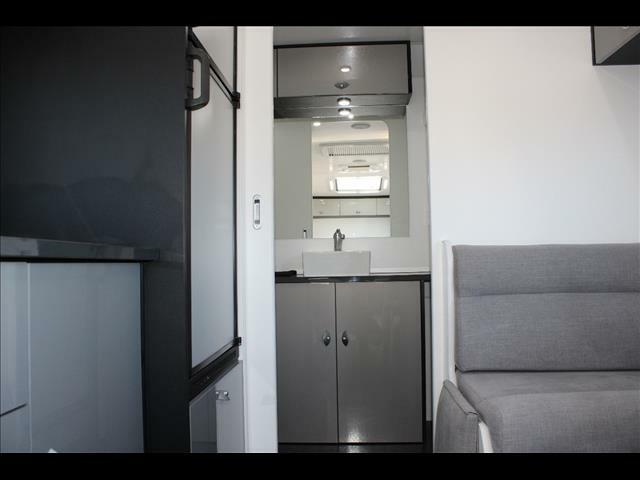 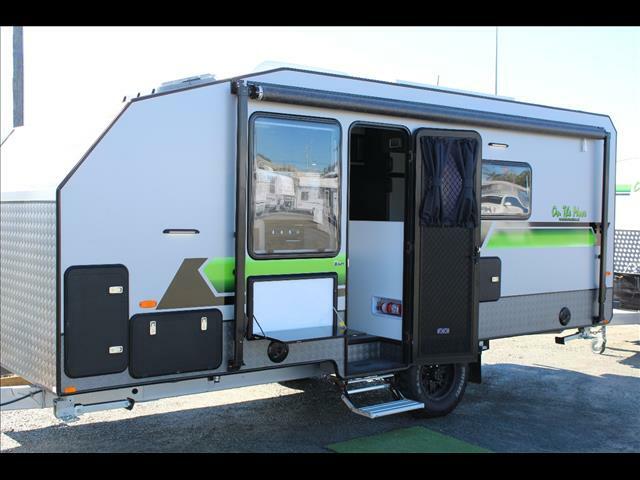 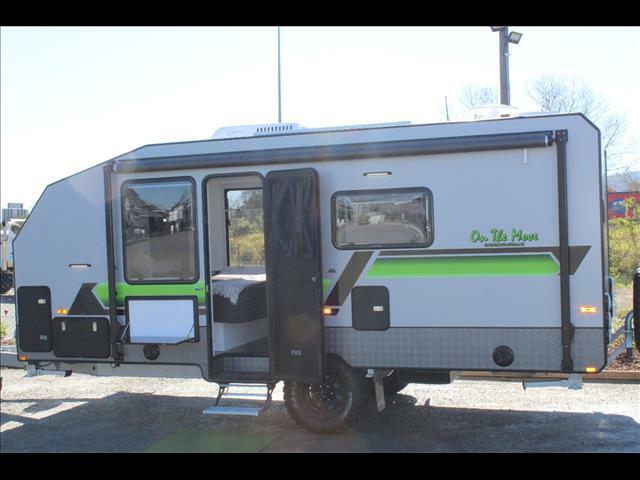 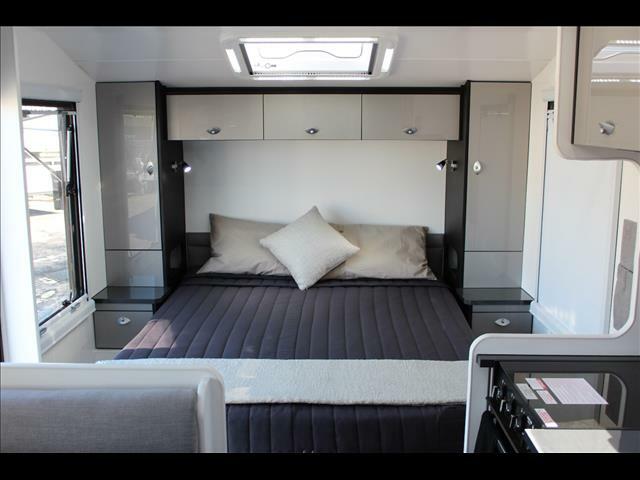 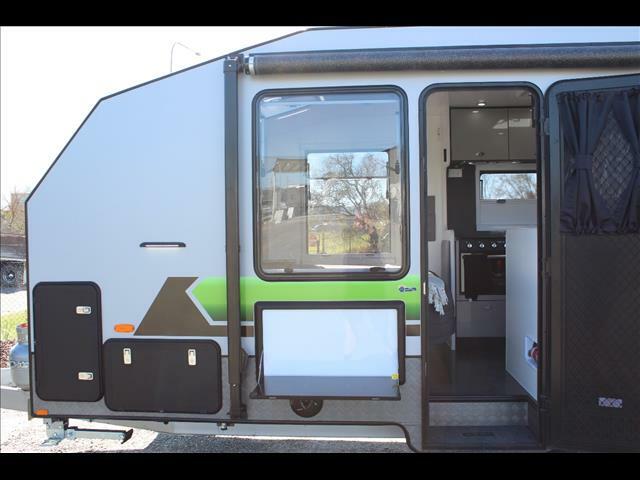 This single axle 17&apos;6 off road caravan is a winner and will not disappoint.On the Move have changed the front design of the TRAXX Series 2 off road caravan, this has given it more room internally around the queen size bed and provided more external room for additional tunnel boots for storage. 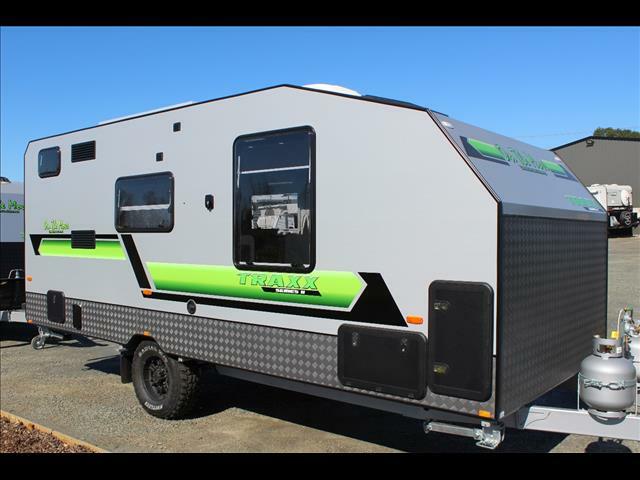 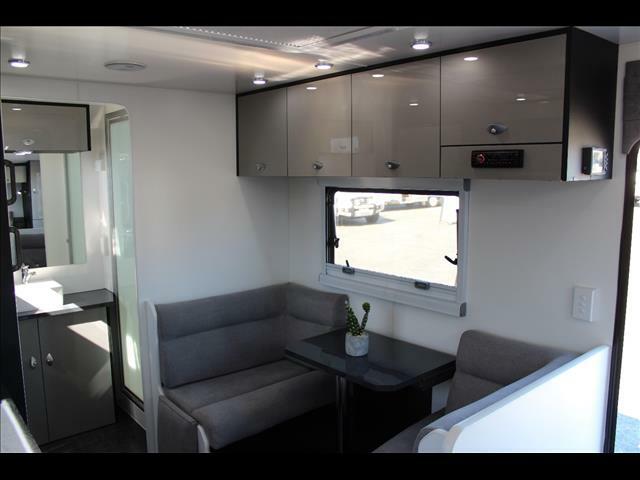 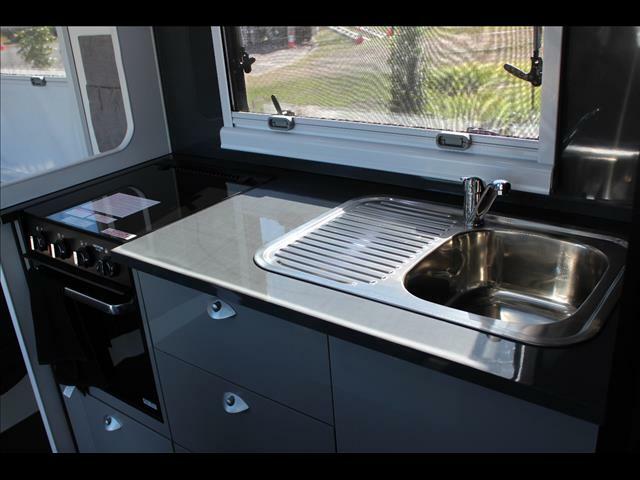 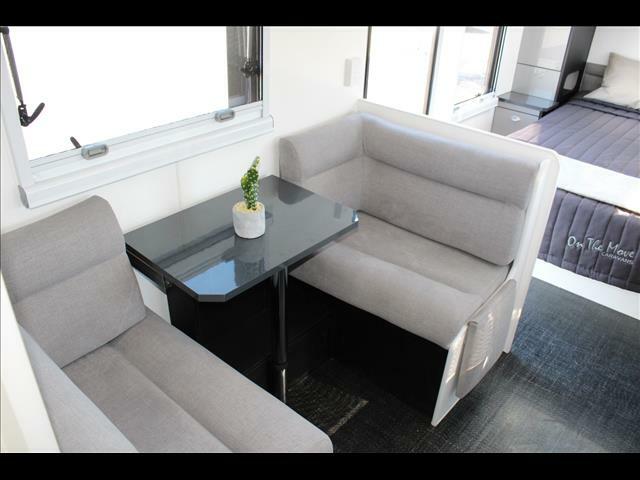 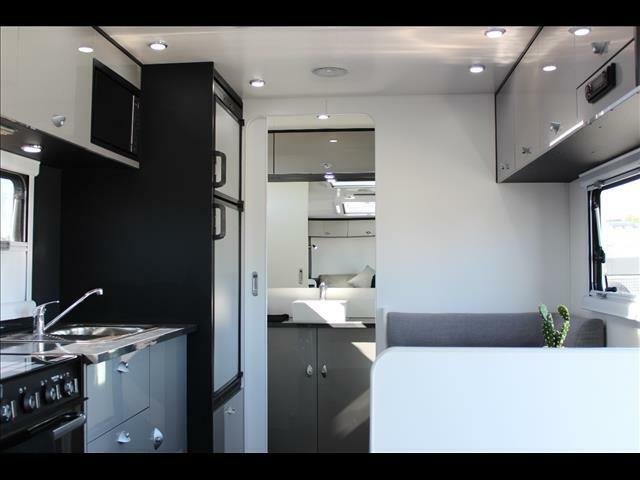 Along with the additional external storage, outside you will find a drop down picnic table, full length awning and an outdoor entertainment box that includes TV antenna, AV outlet, 12v and 240v outlets and a TV bracket.At 17&apos;6 this single axle off road caravan is more than capable off road, easy to manoeuvre and practical to store, yet it tows a stable as a bigger caravan.It has an off road DO35 hitch, Cruisemaster suspension rated to 2.5 tonne with shockers and a one piece composite floor.With On the moves first caravan being built in 1968, Australian made and a 3 year warranty, you know that this guys have the experience to build your next off road caravan.